If you are not shy and love to draw attention to your cool fashion look, this is the cap for you. It comes in a choice of three-tone colours and our extensive range will suit all tastes. 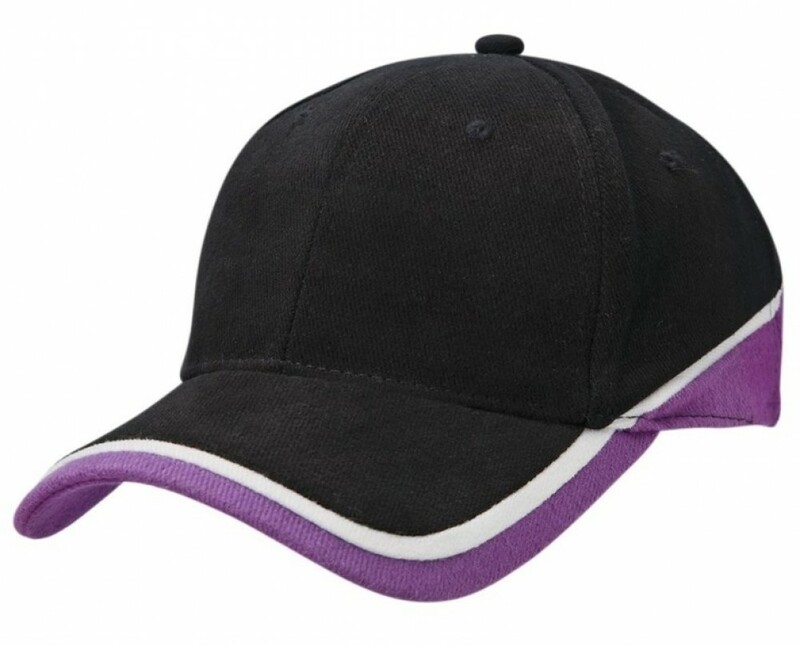 The solid colour of the structured cap is enhanced by a double trim of contrast around the edges in a modern and fun design. The cap is manufactured from brushed cotton, which washes well in cool water. For best care, don't use bleach and do not twist or wring, Allow to air dry and your cap will see you through season after season. This classic look sports a structured cut with a pre-curved peak. A gunmetal buckle and tuck-in return completes the look Add a professional look to a school team, corporate team or your sales representatives when they all wear matching caps embroidered with your unique logo and graphics. We will create a meaningful marketing campaign to best expose your brand. Our pricing includes 8k embroidery of your personalised graphic. Embroidery can be done on the peak, sides or back of the cap and embroidery can accommodate multiple colours, making your logo really stand out. A once off set up of $50 applies for orders under 50 units. Delivery of this item is within Australia only. Please note that our pricing excludes GST.